Energy Security: Is there a problem? Energy security is fundamental to our way of life. Without energy security and without resilient supply chains, our Defence Forces will not be able to operate. Likewise, our society would also cease to operate if our national energy infrastructure and associated supply chains falter. The public awareness of these risks is relatively poor; even significant energy infrastructure failures, such as the 2016 South Australian electricity blackouts, seem to have faded from the news cycle around much of the country. The Australian Senate held an Inquiry in 2015 into Australia’s Transport Energy Resilience and Sustainability. Senators David Fawcett and Jim Molan, along with the House of Representatives member Andrew Hastie, have expressed their concerns repeatedly in the media regarding these issues. In August 2017, the Australian Strategic Policy Institute (ASPI) published its report on The Challenge of Energy Resilience in Australia. In February 2018, the International Energy Agency (IEA) published their review of Australia's energy policies. In March 2018, when reviewing a critical infrastructure bill, the Australian Parliamentary Joint Committee on Intelligence and Security made the following recommendation "The Department of Home Affairs in consultation with the Defence and the Department of the Environment and Energy need to review and develop measures to ensure Australia has a continuous supply of fuel to meet these national security priorities." Each of these reviews and reports have highlighted aspects of energy security that are deficient. However, energy security is about much more than just the Defence force or a more “reliable” electricity supply. It is about our security as a nation, it is about protecting our society and our way of life and, as such, it is a very complex issue. The first problem we have in addressing energy security is that of language. The terms “national security” and “energy security” do not have common definitions amongst Australians. Nor is there a common view that energy security is a subset of national security. The Macquarie Dictionary defines national security as the protection afforded to a nation against any external threat to its existence. However, when the Australian Government talks about energy security it defines it as the adequate, reliable and competitive supply of energy across the electricity, gas and liquid fuel sectors, where reliability is the provision of energy with minimal disruptions to supply. The conditions under which this is assessed are not clear. It is therefore not surprising that there are significantly different views regarding energy security when considered from industry, national security or bureaucratic policy perspectives. In effect, the Government has articulated energy security through a “market lens.” This is also evident when the Government states that energy security is a shared responsibility between governments, market institutions and energy businesses. When I was researching my fuel security reports I had the opportunity to interview the CEO of one of the Australian based oil companies. He made it clear that energy security was not his responsibility; his responsibility was for the reliable supply of fuel to his customers and a return for his shareholders, nothing more. From a business perspective this makes sense. However, with respect to security, someone has to be in charge. Energy security is a prerequisite for protecting our way of life and therefore I am of the view that markets cannot be held responsible for energy security which is a component of national security; Governments must take that responsibility. A further problem in the discussion of energy security is that of implicit assumptions. We often assume that if something hasn’t failed recently that it will continue to operate. This is a common assumption most of us make, for if we spent all day worrying about what could go wrong our lives would be miserable. However, we do need to have some people think deeply about these issues and to make whatever preparations are necessary to ensure our ongoing security. I suggest that we need to apply the national security framework and analytical methods that we have applied to our nation’s Defence Forces to areas of risk such as energy security, that are critical to our national security. Defence has often reflected on the expectations of the Government and the Australian population. 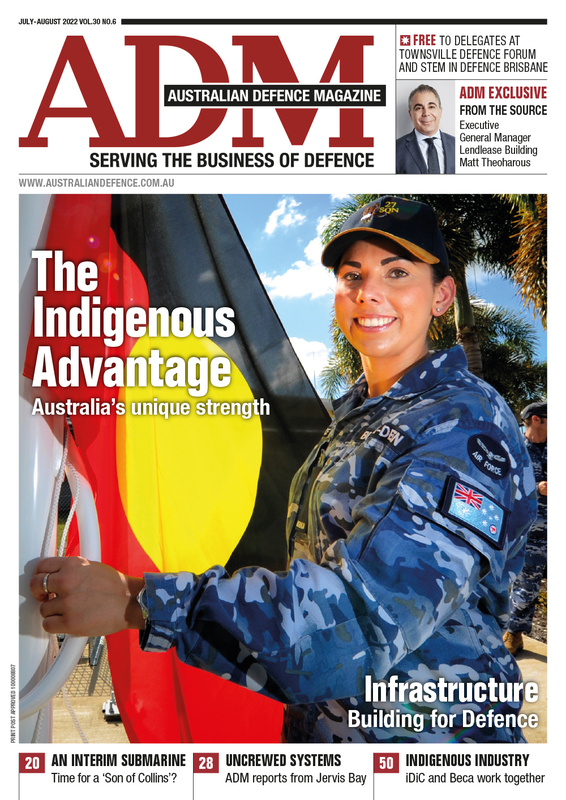 Australians expect their Defence Force to operate when markets fail; in other words, Defence Forces are not just there for business as usual times. I would suggest that Australians would rightly expect essential services to operate when markets fail and to be secure and resilient; the public (and political) outcry following the 2016 blackout in South Australia was a clear example of this expectation. How confident are we that such essential services are secure such that they would continue to operate in the event of some form of market disruption? What assumptions do we as Australian’s make about issues such as our energy security that are flawed? The Government does not seem to think we have a problem. Prime Minister Turnbull’s statement that the Government’s recently announced review into Australia’s Liquid Fuel Security “should not be construed as Australia having a fuel security problem” is illustrative. However, the 2018 International Energy Agency (IEA) review of Australia’s energy policies concluded that "It is less clear how the country (Australia) would respond in the event of a serious oil supply disruption leading to market failure." That is a problem. The most recent Australian Government Energy White Paper (EWP) was published in 2015. It noted that Australia is a growing energy superpower, endowed with vast energy resources, which would “give us low-cost energy.” That latter claim has not quite worked out as the Government had hoped; the Grattan Institute recently reported that wholesale electricity prices rose across the National Electricity Market by 130 per cent on average between 2015 and 2017. The EWP stated that the guiding principle should be that the market should be left to operate freely without unnecessary government intervention. It also stated that the Government would monitor energy security through a National Energy Security Assessment (NESA) process. A NESA was scheduled for completion in 2015, prior to the release of the EWP. That NESA update was not conducted and therefore the 2015 EWP was based on the 2011 NESA, a document that was, in my view, fundamentally flawed for the reasons I outlined in my 2014 NRMA Report, Australia’s Liquid Fuel Security Pt 2. I highlighted the 2011 NESA Report statement ‘… there could be scenarios that are more severe such as war in the Middle East, war in the Asia-Pacific region, disruption of shipping lanes or disruption to key refining centres in the Asia-Pacific region. In this case the markets may not operate normally and the impact on the supply chains would need to be considered.’ Such scenarios were not addressed in the 2011 NESA nor in any subsequent, published, Government assessment. My concern regarding the lack of adequate risk assessment for the NESA was compounded at the 2015 Senate Transport Energy Inquiry when an oil and fuel industry representative stated that "National security scenarios are not appropriate for fuel supply security assessments." There is clearly a view in some parts of the energy industry that any security assessments of energy supply be limited to “market factors”. I can only surmise that the reason is to minimise the risk of new Government regulation of the energy market, should a comprehensive assessment identify significant risks to national security as a result of the free-market approach adopted to date. As at early 2018, the updated (2015) NESA had still has not been produced. 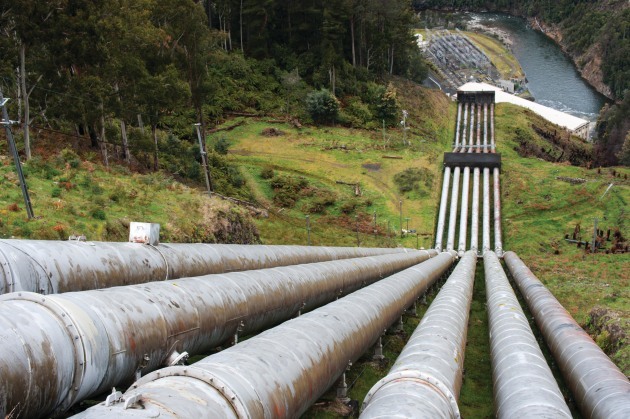 In May this year, the Government announced a new review into Australia’s Liquid Fuel Security to “help deliver affordable and reliable energy” to be completed by the end of 2018. The NESA is now scheduled to be delivered by “mid 2019”, some four years late. Whilst key stakeholders and interested parties will reportedly be consulted for the 2019 NESA, I have concerns that the review and analysis will be led by the same Department that produced the last NESA. My understanding, based on discussions with the then Department of Resources, Industry and Tourism, was that the 2011 NESA was led primarily by economists. There needs to be a much more diverse team conducting the next NESA, and it should include people with a deep understanding of national security and of Defence operations involved in the analysis. Energy security is too important to leave to economists alone. The Government should consider having the 2019 NESA led by an independent review team such as was done for the 2017 Independent Review into the Future of the National Electricity Market, led by Dr Alan Finkel. Such a review is the only way to get frank and independent advice, free of the pressures on Government officials to not contradict extant Government policies. The IEA has highlighted some significant problems with our energy security in their review of Australia's energy policies. The IEA concluded that, whilst Australia is endowed with natural resources, there are energy security risks across several sectors that have increased. They noted indicators of stress in the Australian energy system and highlighted that energy policy governance in Australia is very complex and fragmented. The review also stated that Australia is increasingly exposed to new challenges for maintaining security of supply and, had we had proper monitoring analysis and planning, these issues could have been signalled earlier and remedies could have been applied. That is a significantly less optimistic view than was portrayed in the 2015 EWP and does not reflect well on the management of energy security by recent Governments from both sides of politics. Australia is the only IEA member country, which is a net oil importer, that fails to meet its IEA member stockholding obligations. Australia currently imports over 90 per cent of its transport fuels and as a nation rely completely industry held commercial stock holdings to meet obligations, which Australia fails to do. The IEA Review noted that Australia’s oil stocks are at an all-time low, that the nation has no strategic oil stocks and that Australia does not place any stockholder obligations on industry. The Australian Government has at last agreed to address this shortfall and has committed to meeting our obligations by 2026, by using the purchase of “tickets” (options to purchase oil for release to the market) with the US and Europe that will, in reality, do little to improve our domestic energy security and resilience as the stocks will not physically be held in Australia. Australia is unique in this area of stockholding compared to other developed countries and, as a result, is the least prepared for a supply chain interruption. When I have raised this issue with politicians in the past, some have said "if we run into a problem, we'll just go down to the nearest Defence base and we'll access their stocks." When I informed them that we actually do not have strategic stocks that could be drawn down upon, they looked surprised. Australia fuel import dependency for transport fuels had grown from 60 per cent in 2000 to more than 90 per cent by 2013. In excess of 50 per cent of our refined diesel and 75 per cent of our refined jet fuel imports transit the South China Sea, an area of growing security concern that was not considered in the last NESA. Between 2012 and 2015, three of the seven refineries we had closed down; when asked how many refineries should we have for resilience of supply, the then Department of Resources, Energy and Tourism, advised (with little apparent regard for security of supply) that we did not need any refineries … because it was cheaper to import refined fuels. Unlike electricity or gas where the source energy is produced in Australia, there is little the Government can do in the in event of a major oil supply interruption as less than 10 per cent of our liquid fuels are wholly sourced in Australia; we would be completely dependent on “market forces” to work out a supply solution as we have no clear plan to address a major supply interruption, as highlighted in the 2018 IEA review. The WA Government recommends that individuals, businesses, government and communities assess their specific vulnerabilities to a supply disruption and make the necessary preparations to ensure the continuity of daily operations. The lack of an integrated, systems design of Australia’s energy system is also a major vulnerability. Australia’s energy infrastructure was not designed as an integrated system; it evolved over many decades as it changed from public owned to privately owned infrastructure components, with little Government regulation and little apparent thought about how secure and resilient energy systems can be developed. The evolution of the piece parts has, in effect, been left to the market. The 2018 IEA review of Australia’s energy policies alluded to the lack of a systems view when it recommended that the Government needs to “Design an energy and climate policy framework for 2030” and highlighted that “as the energy system transformation is underway, Government action to ensure an orderly energy transition becomes vital”. Liberal MP Andrew Hastie, the Chair of the Australian Parliamentary Joint Committee on Intelligence and Security, has identified the need to think about an integrated systems approach when he suggested that we should look at Australia’s National security as an ecosystem. For example, he called for the fuel supply issue to be elevated to a national security issue: “you can have the best military in the world but it’s futile if you can’t fuel it”. Similarly, Dr Paul Barnes and Colonel Neil Greet (Retd) noted in their ASPI 2017 report on “The Challenge of Energy Resilience in Australia” that Australian energy policy tends to be stove-piped and sector-specific, which doesn’t map well to the complexity inherent in energy infrastructure systems. They noted that the energy sector faces interconnected vulnerabilities and that, in formulating policy, it is critical that the Australian Government consider the complex interdependencies of these vulnerabilities. They concluded that continued planning in isolation will ensure that Australia will face ongoing and increasingly chronic insecurity from failed energy policy. There is some positive news with respect to system design. 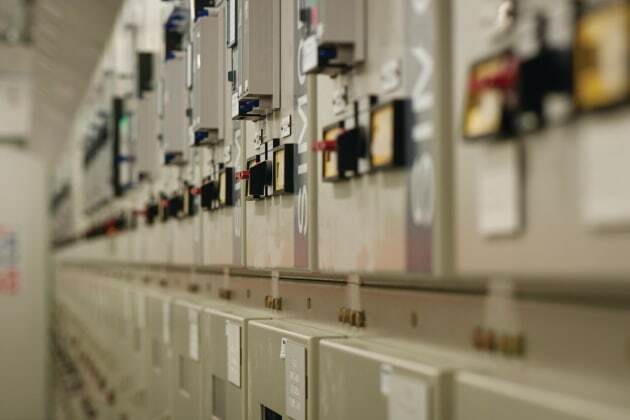 The Australian Energy Market Operator (AEMO) recently stated that Australia does not have the energy reserves it once had to lean on in times of need and that there is still a need to ensure adequate resources are available to manage the system. 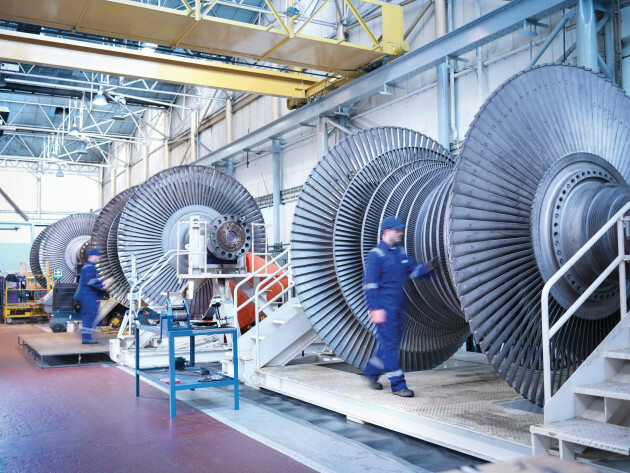 It recently published an Integrated System Plan (ISP) that recognises that the challenges in the system will become even more complex as more of our aging coal units retire and the costs of renewable resources both on and off the grid continue to drop. The plan addresses some of the system design issues related to the electricity supply and is a good start. The plan discusses maintaining “reliability and security” but does not address the wider security dimensions that are raised in this article. Like the National Energy Guarantee, it appears focused on power reliability and not energy security. The challenge of developing such a plan in the absence of any coherent bi-partisan energy policy cannot be overstated. There is still a pressing need for an overall energy system design that acknowledges the national security dimension of energy. That is a task for the Government to lead as it extends far beyond the AEMO’s remit. Without leadership, well-meaning individuals and groups will take action. In the energy domain, the absence of Federal Government leadership has resulted in State Governments taking the initiative. Whilst this is admirable, it will not produce an integrated national energy system and it will lead to system failures, such as occurred in South Australia. The resultant political blame shifting by the Federal Government was counter-productive. The Federal Government needs to acknowledge the need for leadership in this case, and to take control. Unfortunately, the energy issue has become so politicised, both between parties and within the Liberal party, that the national interest has been subsumed by party and personal interests. The reality is that energy security, like national security, can only be addressed with consistent bipartisan political support. This is the missing link. The lack of an integrated systems design approach also results in misinformed debate in the media. Some climate sceptics blame the introduction of renewable energy sources for electric power system failures and rising costs. The problem is not with this class of technologies or the aspiration to reduce emissions; the problem lies with the absence of integrated design, unintelligent policy and a lack of bipartisan political leadership of energy security. In effect, the Governments of the past few decades have passed the responsibility for energy security to industry. The term “business as usual” is used across industry and in the IEA assessment of Australia’s energy policies to justify leaving the management of supply chains to the market. Business as usual also implies “lean management’” which can result in minimal redundancy in order to not waste resources. However, business as usual today is not what it was a decade ago; currently western nations’ critical infrastructure systems are under cyber attack on an ongoing basis; in recent months the US accused Russia of cyber-attacks on the energy sector and imposed new sanctions, whilst in the UK, the finance, power and water sectors were on the highest alert for threats of Russian cyber reprisal. The idea that we are at peace and business as usual is the appropriate model where the markets can manage all aspects of our critical infrastructure and supply chains is clearly out of date. Some measure of Government control/leadership is vital in this day and age. Returning to the Government statement that energy security is a “shared responsibility between governments, market institutions and energy businesses” it is worth reflecting on the oil industry’s evidence before the 2015 Inquiry into Australia’s Transport Energy Resilience and Sustainability. The industry representative stated that it was not the role of fuel distributors to hold buffer stocks … that was the role of the industry fuel users. The industry representatives went on to say that most users don't hold stocks, because they think they're being held for them by government or industry, or else they think they're going to be preferred users. There is little evidence of a culture of “shared responsibility” in these statements. An energy security issue for Australia is the increasing level of foreign ownership of Australia’s energy infrastructure by foreign companies; for example, the Chinese Government-owned State Grid Corporate and Hong Kong-listed Cheung Kong Infrastructure already own significant shares in the privatised state power distributors. Whilst there is an increasing overview of the issue by the Foreign Investment Review Board, much of the discussion has related to electricity distribution grids and generation. A clear and consistent Government policy for all energy infrastructure is essential if we are to avoid stumbling into a major energy security crisis in the future. The US Energy Security Leadership Council has an interesting perspective on the role of industry in the energy domain. Whilst they acknowledge that the market-driven approach is the best way to approach our economic challenges, they note that there are some things you cannot leave to the market alone. The example they discuss is the supply of oil where they conclude that where foreign governments can control or influence your energy supplies, only government action can address those threats to your energy security. In Australia’s case of a 90 per cent+ import oil/fuel dependency, then the potential for foreign government influence on Australia’s essential energy supplies is self-evident. The growing level of foreign ownership of Australia’s national energy infrastructure was recently discussed by Peter Jennings, in his article in the Australian newspaper, where he noted that the Hong Kong-based infrastructure firm CKI is developing a $13 billion takeover bid for gas pipeline group APA. Without adequate and secure energy sources, Defence cannot function. 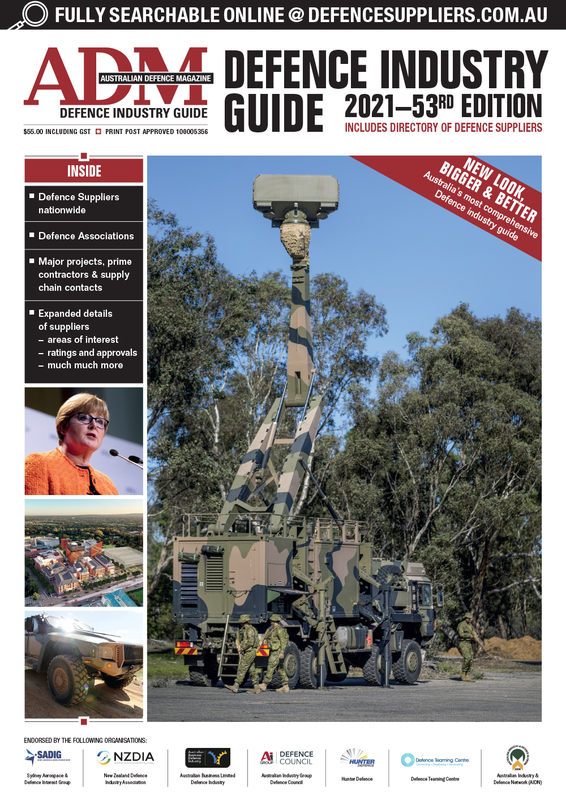 It is essential for Defence leaders to understand Australia’s energy systems and supply chains and that we are undergoing a fundamental transformation in our energy systems. It is a critical vulnerability. Energy security is not just about fuel stocks for Defence. When I have spoken about this issue, a common question I am asked is “how many days of fuel stocks do we have in Defence?” The issue is far more complicated than the question suggests. For example, if you doubled the current level of fuel stocks it would in reality make little difference if an energy supply interruption lasted longer than the number of days of stocks held. The issue is the assured ongoing flow of adequate energy, where stocks act merely as a buffer for variations in flow rate. The other critical issue to understand is that if our civilian infrastructure and critical supply chains do not have assured energy, then Defence will not be able to operate. Defence is wholly reliant on the non-Defence support infrastructure to operate. I have therefore purposely referred to energy rather than fuel. Our infrastructure, and in turn, Defence relies on assured flow of multiple energy components including electricity, gas and fuels. Fuel stocks alone do not deliver energy security. If we examine the 2016 DWP for its analysis of energy security and related Defence vulnerability, there is little to read. The DWP discussed the remediation of problems in fuel infrastructure that would address OH&S and some resiliency issues. There are good energy related developments across the Services, in Defence Estate and in Defence Science, but in piece parts. Compounding the lack of a comprehensive Government integrated energy policy and plan is the apparent lack of a Defence operational energy strategy and a Defence operational energy policy. This should be addressed as a matter of priority. So, why have these issues not been addressed by Defence; why did I not realise the problem when I was the RAAF Deputy Chief? I think it is an issue of culture and habit. Many in Defence consider fuel to just be a “logistics issue” and that will be managed by the logisticians and that energy is a domestic Defence Estate issue. In addition, the majority of recent Defence operations have been conducted under the umbrella of the US Forces where access to their logistics supply chains has perhaps made us somewhat complacent. We need to have a Defence Force with resilient and secure supply chains and that can operate, when required, independent of US support. Energy is a key logistics component that needs much more attention. We are undergoing a major transformation in how our societies work in areas such as the economy, energy and the environment. These areas are closely interlinked, but largely managed as separate competing issues and usually in a fragmented manner as a result of near term political goals. Australia’s energy systems are being shaped by the opportunities afforded by technology changes, by economic pressures and by emissions reductions commitments under the Paris Agreement. The transition in energy systems will not come without a cost and yet our economy already appears to be at risk of stagnating. Our debt levels and economic performance give us little reserve with which to act. Significant trade-offs will need to be made between these areas as we, and the wider global community, have to deal with. Collectively, these challenges are a major threat to our way of life and are both a human and national security threat. Technology changes will afford great opportunities for us, if they're applied intelligently. I argue they're not being done that way because of a lack of an integrated systems design approach. As we collectively navigate these challenges over the next decade, a question we must address is whether or not Defence and our nation can get secure and resilient energy supplies. It will take many years to improve our energy security as the engineering solutions will be complex. We therefore need an honest statement of vulnerability, a risk mitigation/adaption plan and a realistic emergency response plan to deal with supply interruptions as we transition. Energy issues are so intertwined with other security developments that we cannot afford to ignore them. Solving the energy security issues of today will not be sufficient; we need to anticipate the energy systems of the future. As we try to address the energy transition challenge, there is an opportunity to learn from others who are making some progress in systems integration. I will suggest that there may be some design thinking that we could adapt from some Defence Forces, that are in the process of transforming to an integrated design force model, and apply it to the challenge of integrated energy system design in Australia. There has been much publicity in recent years about the transformation of our Defence Force into a 5th Generation Force. The initial discussion centred around the RAAF’s Plan Jericho, with subsequent discussion of a 5th Generation Navy and Army. The concept of a 5th Generation force was not just about acquiring 5th Generation platforms. It was about using the opportunity of 5th Generation technologies to integrate the existing 4th Generation platforms, to improve their capability and then, in turn, to amplify the capability of the new 5th Generation platforms. It was a change in the way of thinking about integrated design, it was about a cultural shift away from the platform towards thinking at the program or systems level. If we apply the construct of generations of capability to the energy sector we could perhaps describe biomass as 1st Generation, coal as 2nd Generation, oil and gas 3rd Generation and nuclear and renewables as 4th Generation. I have referred to the latest energy technologies as 4th Generation because they are being developed and fielded the same as we fielded 4th Generation platforms, such as the F/A-18. With 4th Generation platforms, we acquired them in component pieces and hoped that other technologies would integrate the platforms once they were fielded. We learnt the real limitations of extant data links through that process. Similar to what was done in Defence, 4th Generation energy systems are being acquired in component pieces, not as a part of an integrated system. This has led, as in the case of the South Australian Electricity blackouts, to systems failures. So, the question is, can we think about a model for a 5th Generation integrated energy system? The technologies necessary to implement a 5th Generation energy system exist today. We just lack the integrated design approach. An example of such an approach can be shown in combination with solar and wind systems. Despite having the highest deployment of solar on domestic houses in the world, solar and wind systems provide only about one per cent each of Australia’s energy supply. The problem is that together they can at times provide more energy than is required; in some cases, it is the local electricity infrastructure that cannot handle the amount of energy that can be produced. At other times, solar and wind systems cannot meet the energy demand and thus they are blamed for supply failures. Is there a possibility of utilising the energy produced by solar and wind systems differently? There are a range of excellent academic studies that have highlighted the value of pumped hydro systems to store renewable energy. At scale, pumped hydro seems to be the only viable solution, but at considerable cost and time for implementation. There are also excellent examples of small scale, regionally-based renewable energy storage systems such utilising hydrogen, which can also be used to produce a range of energy products. Hydrogen, in this case, is the medium to produce both a time and mode shift of renewable energy. Hydrogen could be used for power generation, for fuel cells in vehicles and trains, to produce ammonia, to supplement gas supplies and to produce gas. It could also provide a significant export resource to countries such as Japan, where hydrogen imports have been identified as a Government energy policy priority. Whilst not the panacea for Australia’s energy needs, hydrogen (just one example), could be an important component of an integrated energy system, particularly as it could employ excess renewable energy capacity. The production and transformation of energy in regional or sub-regional networks using such “energy integrators” could exploit an energy resource that is not utilised to maximum effect today. It is about integration, resilience, economics, energy security and scalability. It is about integrated design. A more comprehensive discussion of this topic can be viewed in my presentation to the 2018 RAAF Air Power Conference. The people of Australia expect the Defence Force and the nation’s critical infrastructure to operate not just when the markets are functioning normally, but when there is a problem. There are significant issues with our energy systems that should concern us all; unfortunately, the analysis of our energy security and resilience is inadequate and the management of energy security has been outsourced to the market. The idea that we are at peace and business as usual is the appropriate model where the markets can manage all aspects of our critical infrastructure and supply chains is clearly out of date. Energy security is a vital component of national security and an increased level of Government control/leadership with respect to energy security is warranted. A 5th Generation Defence Force needs a 5th Generation energy system; so does our nation. The discussion of these issues is not just for our politicians; it is our collective responsibility to discuss these issues and to tell our politicians what we need to have done and not wait to just complain after our energy systems fail. Note: Air Vice-Marshal John Blackburn AO (Retd) is the Board Chair of the Institute for Integrated Economic Research (IIER) – Australia and a Fellow of both the Institute for Regional Security and the Sir Richard Williams Foundation. The IIER- Australia is exploring the challenges of linked transformation of economic, environmental and energy systems; details of the issues under consideration can be found at the IIER (Europe) website.